Don't miss the month's most enticing new iOS releases. With loads of new games flooding the App Store each and every week, it’s hard to keep track of fresh releases—and especially tricky to try and find the good ones in the mix. Luckily, we keep close tabs on the latest and greatest iPhone and iPad games, week in and week out, and we’re happy to point out the biggest and brightest debuts from the last month. 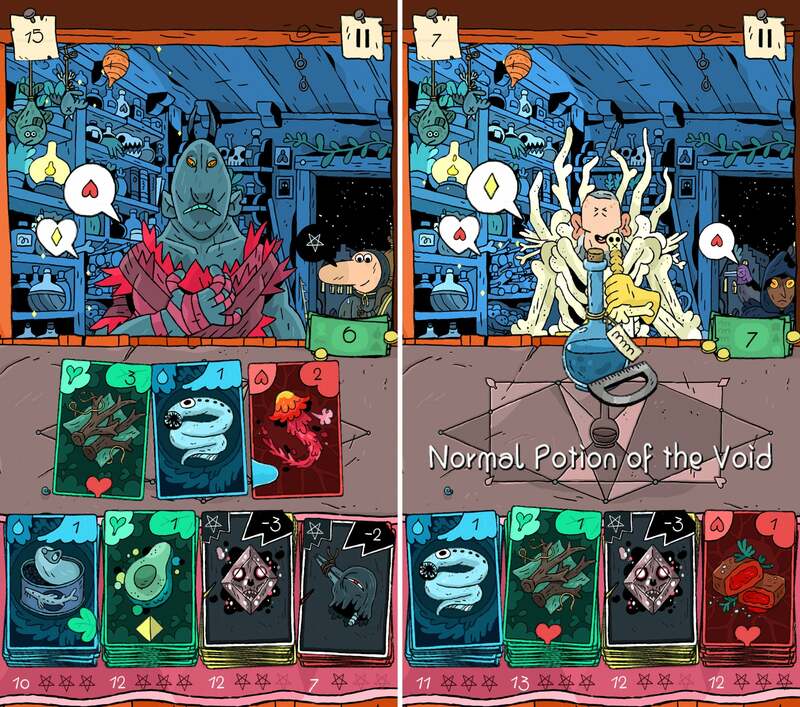 August brought us a nice mix of headline debuts, including crafty card game Miracle Merchant, arcade-like experiences Pigeon Wings and Data Wing, and other high-profile releases like Titanfall: Assault and Darkest Dungeon. We have those games and others in the slides ahead, along with quick impressions for each. See if something strikes your fancy! TinyTouchTales has a knack for creating innovative and intriguing mobile card games, like Card Thief and Card Crawl, and the delightful Miracle Merchant only continues that theme. 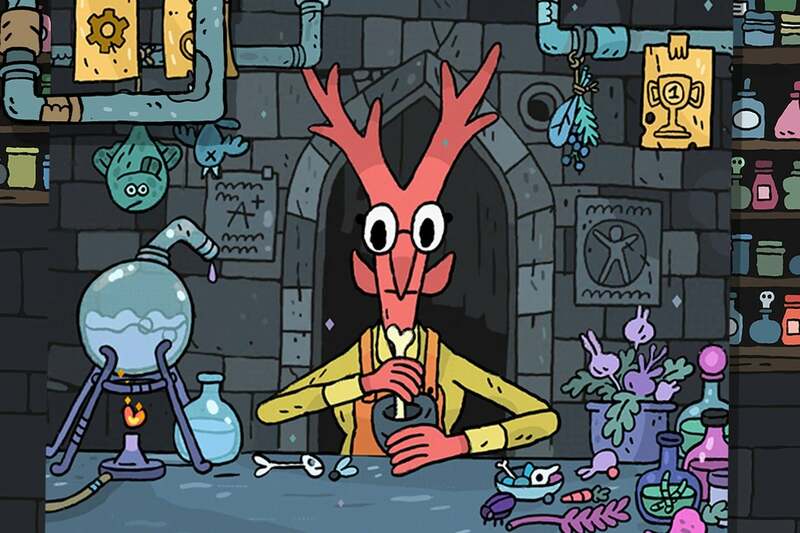 You’ll take the role of an alchemist whose work is in high demand, and as customers arrive, you’ll have to work up special potions based on what they desire. But you’ll also have to work with what’s in front of you, which are ingredient cards. Using buyers’ preferences as a starting point, you’ll arrange four cards from your decks to create the most powerful potion you can, and card selection isn’t your only concern—so is positioning, as their alignment to each other helps determine the end result. It’s a really cool and speedy solo game with a fantastic, handcrafted appeal. Pigeon Wings has nothing to do with Tiny Wings, another bird-based iOS favorite, but it could likewise turn into an on-the-go obsession. In this delightful little indie game, the titular Pigeon flies not with his actual wings, but with a speedy airplane—because he’s a spy sent to defeat a nefarious, “mysterious aeronautics titan.” Sure, why not? Each quick level plays out like a race against the clock, and a battle to survive as you zip through tight corridors towards the finish line. It kind of feels like the great Chameleon Run in that respect, although Pigeon Wings feels totally distinctive. It also works perfectly on iOS, as you hold one button to go and then tilt up or down to steer, only occasionally tapping another button for boost or to shoot at a boss. We’ve got one “Wing” after another, but Data Wing does its own thing on the App Store. 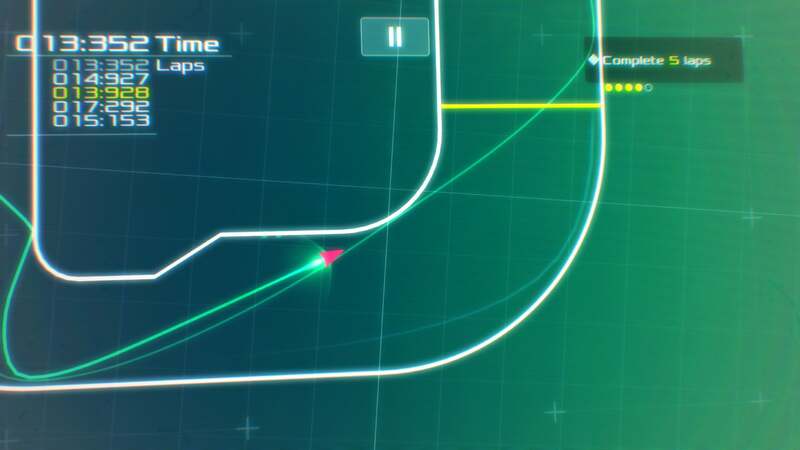 It’s a very minimal-looking racing game, essentially, but not in the usual sense of vehicles and speed boosts and such. Here, you’ll control a little digital courier that must whip through a computer system at record speeds, and the how and why are both rather interesting. First, the how: you’ll control your little arrow much like the ship in arcade classic Asteroids, but you can benefit by riding along walls to boost against their barriers. That’s neat. 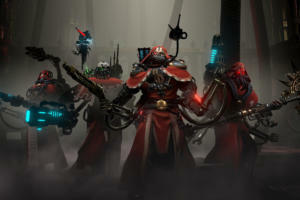 And secondly, you’re under the control of an A.I. that talks to you (and undermines you), and over time, a compelling story builds. Data Wing: it’s one of a kind and free, too. Titanfall’s frenzied first-person shooting action and trademark giant mech suits are a lot of fun on PC and consoles, but they probably wouldn’t translate perfectly to touch—so Titanfall: Assault tries something different instead. 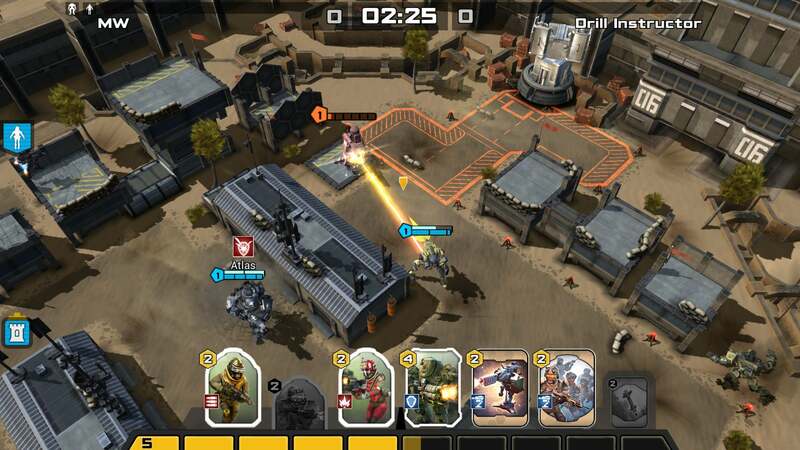 It’s a card-based tactical action game in which you’ll drag soldiers and mechs onto the screen, all to try and capture and defend critical spots on the map. That might seem like an odd form for a frantic action game, but it actually works rather well in kind of a Clash Royale sort of way. You’ll use your limited resources to drop units into battle and try to outthink and overpower your opponent, and dominate the map. It puts this strong franchise to smart new use for mobile. 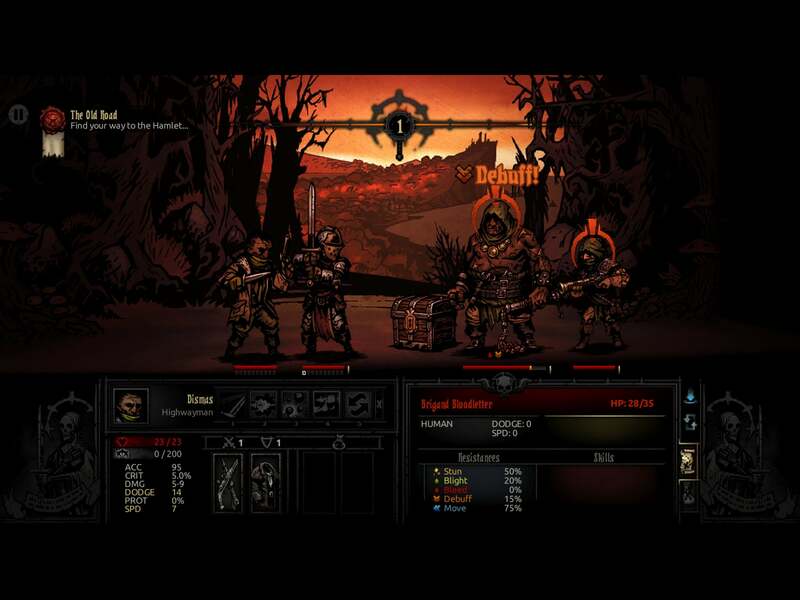 Darkest Dungeon was one of last year’s most celebrated Mac releases, and now it has made the move over to iPad (but not iPhone) in this much cheaper Tablet Edition. 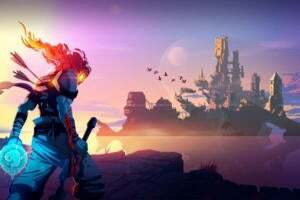 Aside from the change in device, the full experience seems intact—and that’s a very good thing, since this dungeon-crawler is one of the most compelling role-players in recent memory. 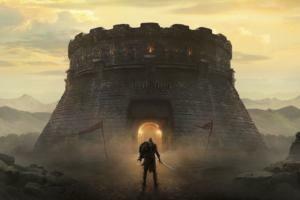 In addition to battling against various warriors and beasts, you’ll also fight off stress, as ailments like paranoia, fear, and more rear their head for your characters. It’s a unique hook to what’s otherwise a very challenging, but seemingly rewarding grind, complete with some really sharp hand-drawn artwork and sharp narration along the way. 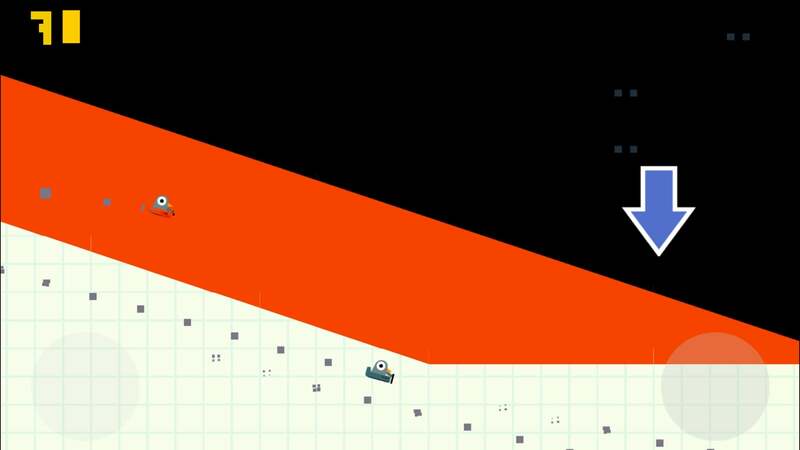 While those last couple of games are pretty involved, there’s often great fun in simplicity—especially when it comes to iPhone games. Balance the Hat definitely fits that bill, and it manages to sell its concept well with just the title: an item will fall on your head, and you’ll have to try and keep it upright and balanced for as long as you can. 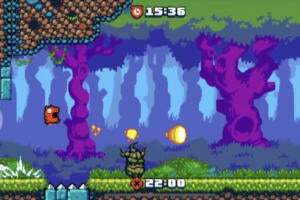 It might start with a hat, but before long you’ve got a bouncing ball, a stack of blocks, or a guitar, and as the seconds tick up, drops of water and even small bombs fall down to try and disrupt your run. 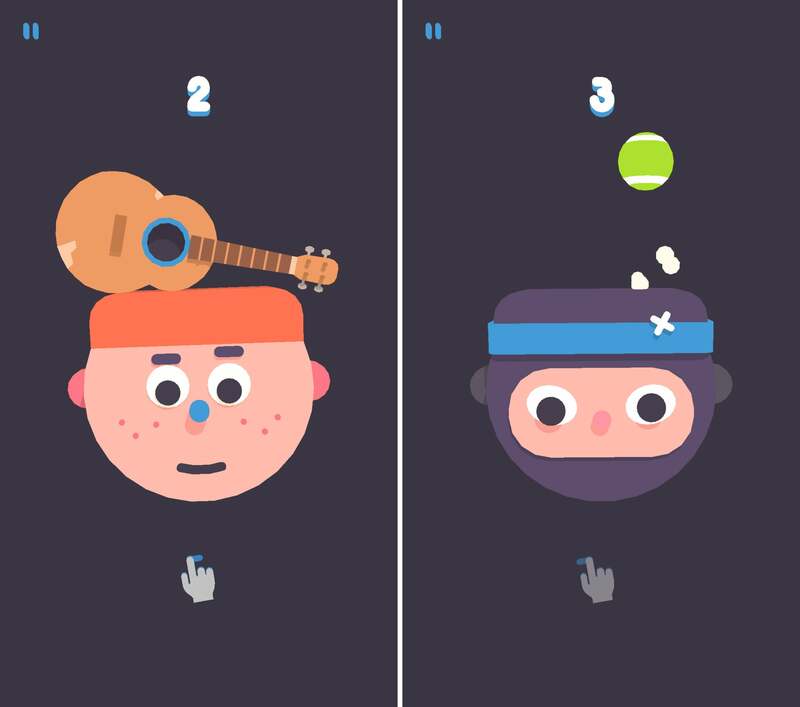 Balance the Hat isn’t particularly deep or complex, but it’s plenty amusing, plus it’s totally free—although the pop-up ads are fairly frequent. Swimming provides excellent physical exercise, and likewise, Swim Out offers up a pretty compelling mental workout as well. 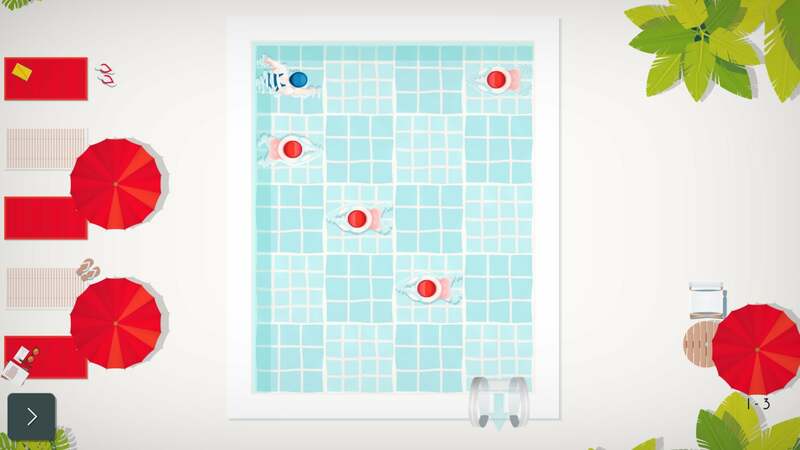 Essentially, it’s a pretty relaxed puzzle-solving game that drops you into the deep end as a swimmer looking to complete some laps—only there are other swimmers, kayakers, and cannonball-plotting kids blocking your precious path. Getting around them requires you to watch and overcome their movement patterns and try to outsmart the grid of obstacles, occasionally using some well-positioned beach balls to help clear the route a bit. Surprisingly, it comes off a lot like Lara Croft Go and Deus Ex Go, albeit with a really pleasant, easygoing vibe. Walking, anthropomorphic food? Sold! 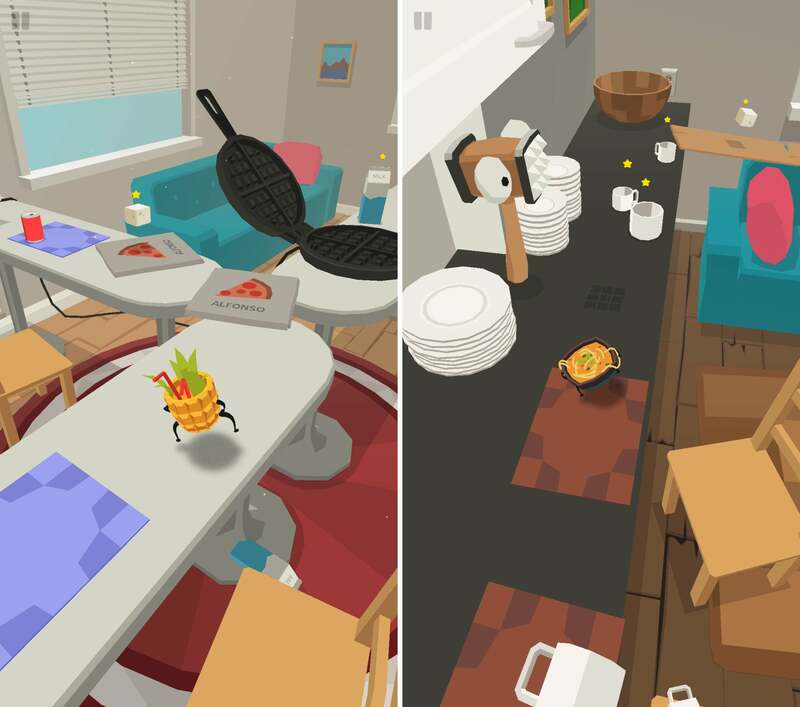 Luckily, the game behind that wonderfully goofy concept is actually pretty fun as well, as Silly Walks challenges you to keep your stumbling cheeseburger, ramen bowl, or pizza slice pointed in the right direction. And how that works feels pretty unique. You’ll tap the screen to take a step with one foot, at which point the character slowly begins spinning in place. Once you’re aligned in the direction of your choosing, tap again and the other foot lumbers forward. This continues on until you’ve reached the goal in each stage, across the kitchen, backyard, and gym, or until you’ve ended up as a grim splat somewhere along the way. You can find traditional baseball simulation games on the App Store, but Bottom of the 9th is something very different: it’s an adaptation of a dice-based board game, now on your phone. Indeed, there’s a board game about baseball, spanning both hitting and pitching alike, and now you can experience the digital recreation of that. Seem kind of silly? 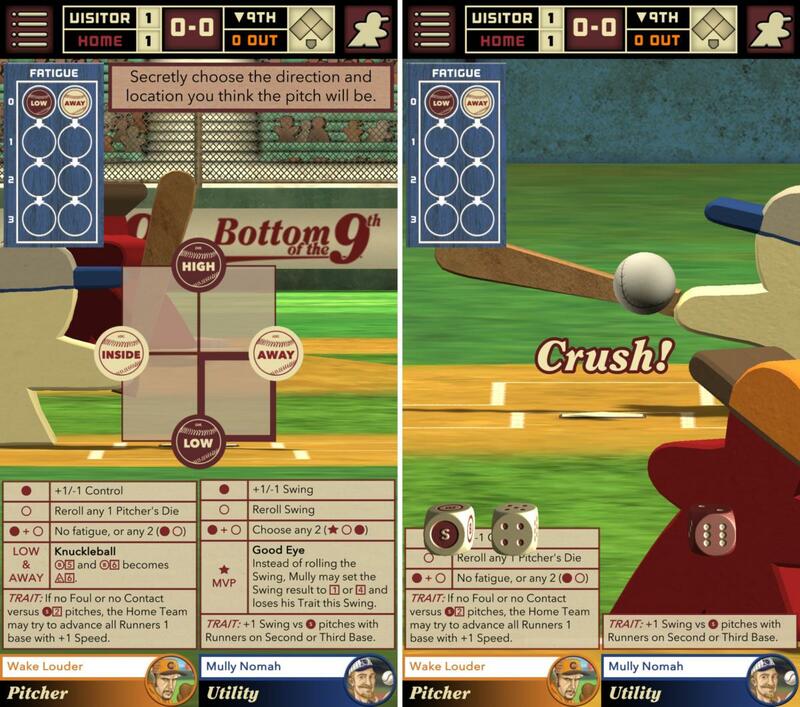 Perhaps, but Bottom of the 9th was a pretty clever physical board game take on the sport, and that holds true on your iPhone. You’ll guess pitch locations, roll the dice for swing outcomes and power, and use special abilities to juice your swings. 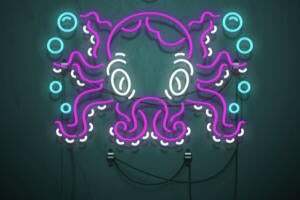 It’s definitely unique, although the lack of iPad support right now is rather odd. 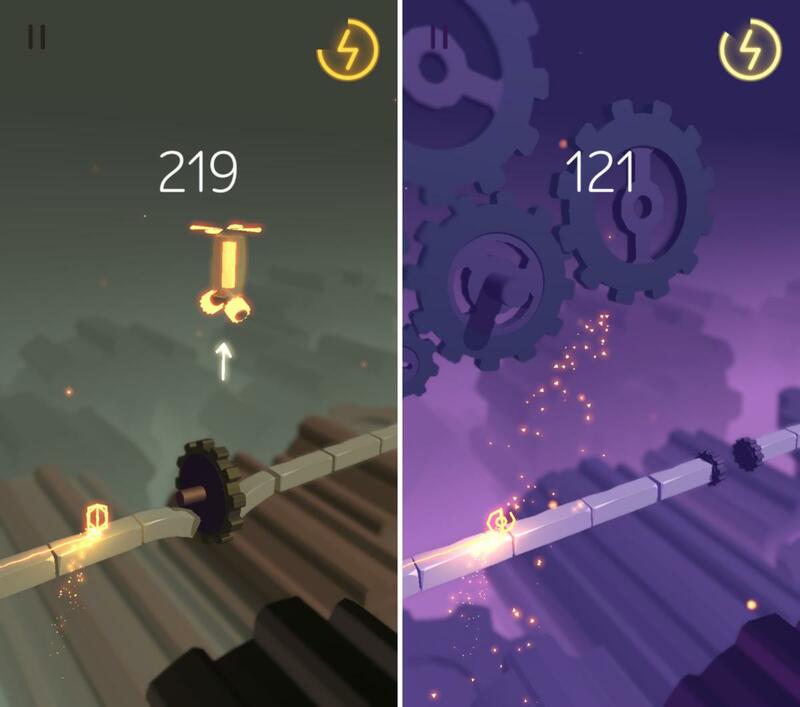 The best endless runners cultivate a powerful “one-more-play” style of addiction, so hey, at least Spin Addict is appropriately named. This clever twist on the genre has you guide a small piece of metal (of all things) as it glows red hot, and tries to continue spinning for as long as it can along a narrow ledge without slowing down and cooling. How do you stay hot? By spinning through (or leaping into) little checkpoints that offer a speed boost, and at times, you’ll have to swipe to rotate the environment around you to bring those critical spots into the pathway. It’s not quite as frantic or complex as the aforementioned Chameleon Run, but it feels like a contemporary: smart and unique within a rather crowded genre.